A major oil spill in Canada's western Arctic would likely spread quickly and foul oceans around Alaska, and possibly as far west as Russia. Dan Slavik, who works with the WWF in Inuvik, says oil is much harder to clean up when it's trapped in sea ice. "Its fate and trajectory will largely end up where it melts," he said. "You could see spills moving from the Canadian Beaufort to the coast of Alaska, and even as far away as Russia." The study used computer modelling to predict the behaviour of oil spills in the Arctic region. 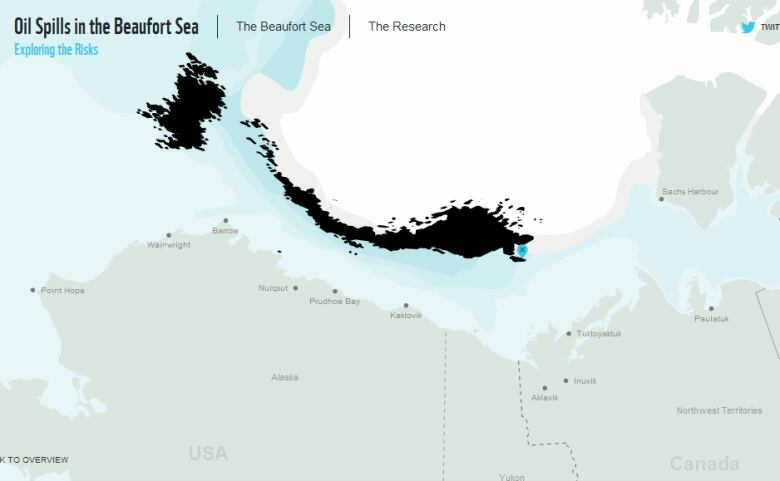 The authors considered 22 different oil-spill scenarios in the Beaufort Sea, off the northwest coast of the Northwest Territories. They found that in all cases, there would be at least an up to 50 per cent chance that an oily slick would spread into Alaska. In the case of a blowout, it's almost certain that oil would spread across international boundaries, with an up to a 25 per cent chance of affecting Russia. “For every scenario run, results showed the possibility of hundreds of kilometres of shoreline oiling,” the report reads. “We’re definitely concerned,” says Frank Pokiak, chair of the Inuvialuit Game Council in Inuvik. He says all Inuvialuit communities in the N.W.T. would be affected by a spill. "The majority of our food comes from the ocean, so if there's an oil spill that happens out there, it's going to affect us quite drastically." Pokiak says not everyone in the region is against oil and gas exploration, but he hopes the study provides some perspective on the risks of development. 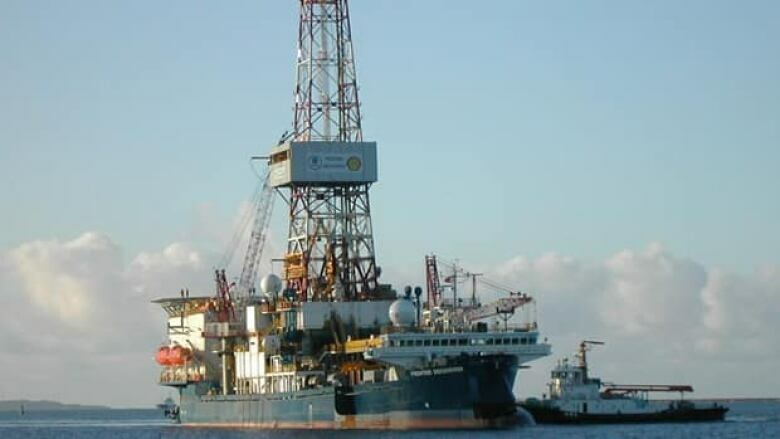 The energy board is considering proposals from Imperial Oil and Chevron Canada for offshore drilling in the Arctic. Current rules require them to have a second drill rig nearby to promptly sink a pressure-relieving well in the case of a blowout, which would make capping it much easier. Both companies are proposing methods they say would be equally effective and much cheaper.